P461 (51318, 59470, & 51303) is a long way from its Laira base as it passes Stoke Orchard on 21 July 1984 with the 16:25 Gloucester to Worcester Shrub Hill service. P461 was reduced to a two car set in 1987 and then withdrawn the following year. 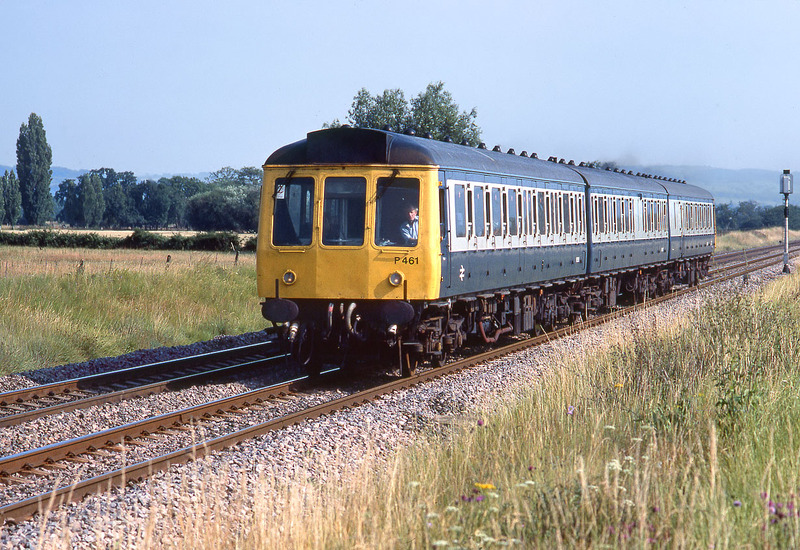 The two power cars were cut up at Vic Berry's at Leicester, while the centre car although withdrawn earlier managed to survive until 1991, when it was disposed of at Mayer Parry, Snailwell.